Amazon Exclusive Pastel Color notebooks!!! 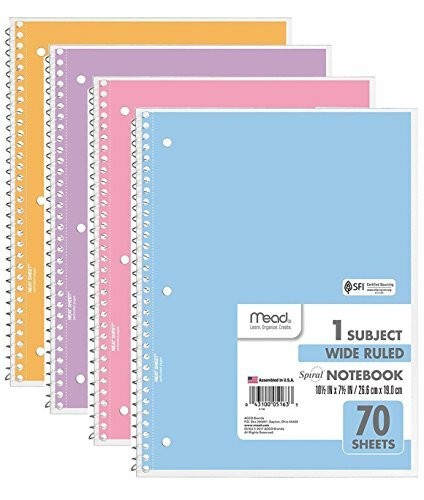 Pack of 6 Mead Spiral Wide Ruled Notebooks. Spiral bound with spiral lock to prevent snags; 3-hole punched for use inside a binder.